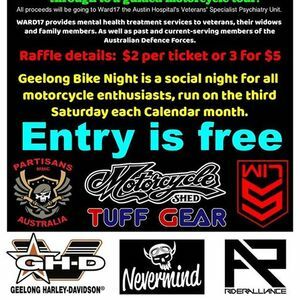 Social Motorcycle night in Geelong Victoria. 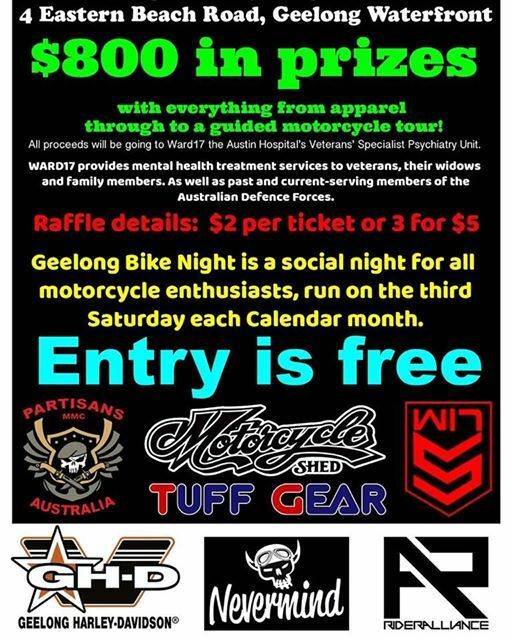 There will be a raffle, run by Partisans Australia MMC, Bellarine Chapter to raise funds for Ward17, a specialist treatment facility which assists Australian Defence Force Veterans, who are suffering from PTSD. Details on the raffle to follow. 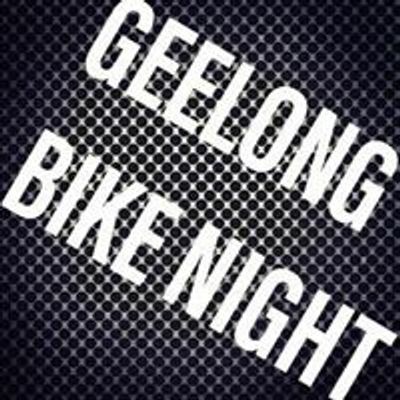 Please be aware, Geelong Bike Night does not condone illegal or anti-social behaviour. Anyone caught engaging in either will be banned from the event &/or reported to the Police as appropriate.